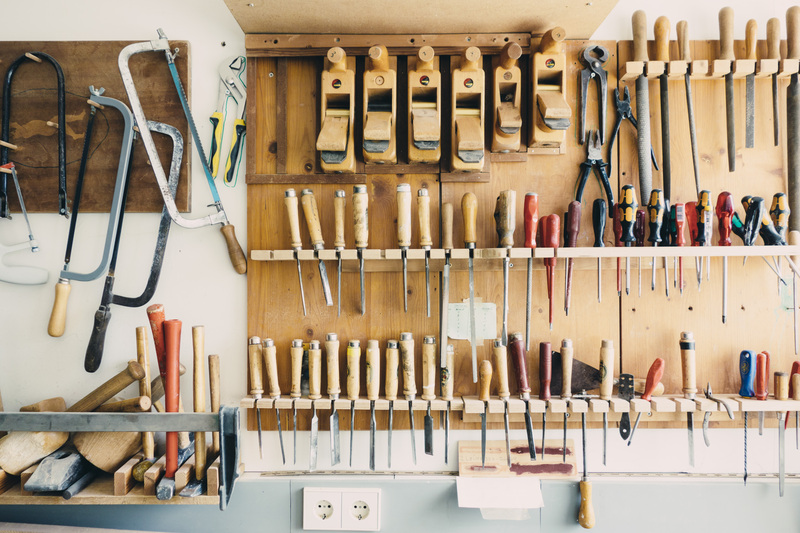 Whether you’re hoping to use your garage for some mid-winter carpentry projects or as another place to work out when bad weather strikes, you’ll probably find the experience a lot happier if you have some heat in the space. And since central heating doesn’t usually include the garage, that means wading through a whole lot of options! Portable or fixed? Electric, propane, kerosene, diesel or a solar air heater? Forced-air, convection or radiation? The amount of variety out there is truly dizzying. To help, we’ve created a “keep it simple” guide to garage heating basics. Below, we’ll touch on the different factors you need to weigh when you’re picking out heaters. And we’ll run over the types that work best for garages. Basically, it’s the fastest route to a more comfortable garage this winter. The first thing you need to decide is whether or not to go portable. 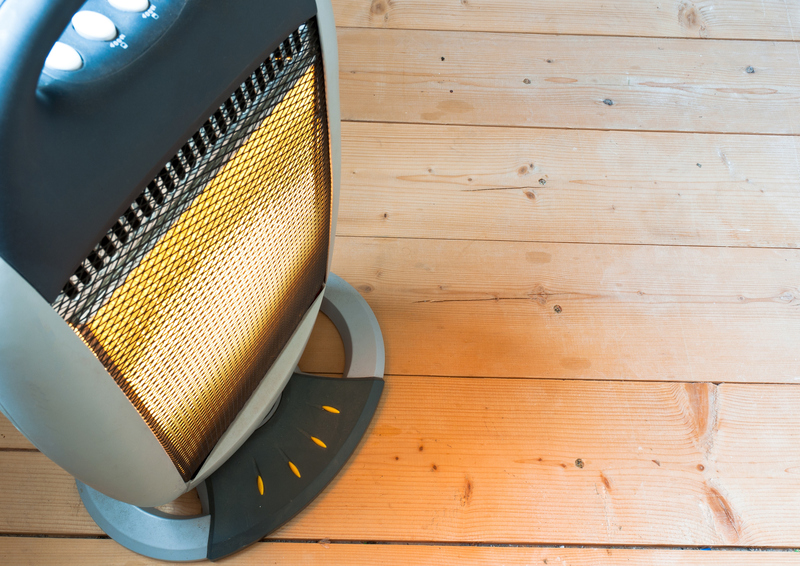 Mobile space heaters are simple to install—many simply need to be plugged in. Unfortunately, floor-level space heaters are also not as safe. All those cords present a real tripping hazard in a garage, where you’re likely working with lots of tools. And that may cause fires and injury if the heater is accidentally tipped over. On the other hand, portable space heaters cost a lot less. Mounted forced air units could run you as much as $1,000 apiece, but you can find quality portable heaters for less than $100. For professional-grade units, portable forced-air shop heaters—often known as salamander heaters—can be bought for between $100 to $200. In the end, the decision usually comes down to how often you use your garage, as well as its size. Portable space heaters make more sense for casual garage-users, whereas a mounted forced-air system is better if you’re out there every day. There’s also the matter of the heat source itself. Heaters can be powered by electricity or solar heat. They can also be fueled with some sort of gas, like natural gas, propane, kerosene, or diesel. Combustion heaters like these latter types are typically more powerful and efficient than electric and solar heaters. But they must be used with care. Otherwise, the results could be tragic, since fuels are highly flammable. Additionally, some products may not be suitable for insulated indoor spaces because they could generate fumes, carbon monoxide, and water vapor. Typically, “suitable for indoor use” means they have some sort of ducting system that directs fumes outdoors. Forced-air: Forced-air systems contain an internal fan that blasts hot air into the surrounding area. This makes them a lot more powerful than your average electric space heater. But they may stir up dust and sawdust as well. Some forced-air systems also rely on a secondary combustible fuel source, too. Infrared or Radiant: Infrared and radiant units essentially allow heat to radiate outwards from the source, similar to a fireplace or campfire. They work best in small spaces because they’re usually not very powerful. Convection: Convection heaters are designed to move air currents using the power of convection—aka, the physical principle that hot air rises and cool air sinks. Cold air beneath the unit is drawn over the heating source and then pushed out of the unit. Once it cools again, it cycles back through the unit. This process makes convection heaters much safer and efficient than other heaters. Certain types of heating systems are naturally more powerful than others. But the size of your unit and its capacity will ultimately determine how warm your garage gets. All heaters list their heat capacity in British thermal units (BTUs). But bigger doesn’t always necessarily mean better in this case. If you have a very small workspace, the average residential hvac unit heating capacity of 30,000 or 45,000 BTUs is going to be too powerful. You don’t want to be sweating over your power tools, after all. To decide on the right capacity, you can manually size the heater using the garage square footage, ceiling height, and insulation. Or you can simply refer to manufacturer’s guidelines. Modern heaters typically do these calculations for you. So they’ll tell you how many square feet you can expect to reliably heat, given an eight-foot ceiling height—the standard for most garages. Now that you know the basics of garage heating, you’re ready to go forth and conquer that new woodworking project with confidence—or at least without stiff, frozen fingers!